Good things often come in nice packages. Enjoy Life has decided to update their packaging to go in line more with other products that they offer, mainly their soft baked cookies and now their crunchy cookies. The crunchy cookies are still as delicious as ever and come in variety of flavors including chocolate chip, double chocolate, sugar crisp, and vanilla honey graham. What makes this cookies extra special is that they do not contain artificial ingredients, so all you get is great cookie taste without all the other unhealthy gunk. They allow you to indulge a little bit while still maintaining a clean lifestyle. Enjoy Life company makes a variety of products that are worry-free and delicious, it is not often that you can say that about a sweet treat.You can still enjoy them on their own, or incorporate them into your favorite recipes and some of theirs, but beware it is hard to stop at just one. We loved these cookies. My favorites are their double chocolate while Gerry likes the sugar crisp, that reminds him of the cookies his mom used to make while he was growing up. Be sure for extra savings when buying your own favorites, to check out their printable coupons on their site. Enjoy Life would love to have one of our readers also have the opportunity to try their cookies, and are offering to give away one set of the 4 types of crunchy cookies, to one of our lucky readers, from Canada or the USA. A random draw will be made by Random.org on September 6, 2014 from all entries received. Leave your contact info and let me know which flavor would be your most likely favorite flavor. Had to break down and get a new digital camera today.Ours died and it wasn't the battery either! 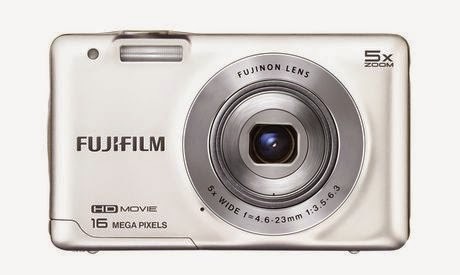 Bought Walmart's cheapest- the Fujifilm one- which was on sale for $88 and had 2 x $10 gift cards that I earned through Stouffers. When you blog and travel as much as I do, you do need a camera. Luckily, the camera card and battery both worked in this camera as well as the charger, so we didn't need to buy any of those extras. Now the pain is having to learn to use the new settings on this one, and I hate reading directions and learning how to operate something new. We wash at least one load of clothes daily. 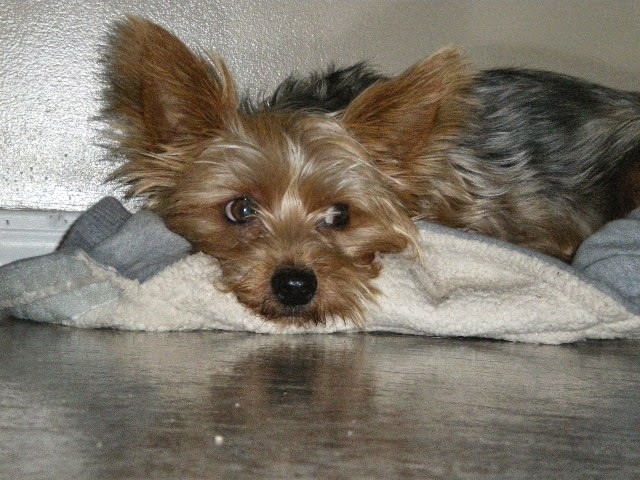 Jakey's blankets are changed on Saturday and bedding is changed on Sunday. I think everyone can agree, there is always laundry to do. I was asked to review Green Virgin Products Soap Nuts Liquid. Green Virgin Products is starting their own movement to convert more consumers to using Soap Nuts Liquid Detergent as a way to make a positive impact on the planet. In the past I have reviewed the actual soap nuts so this was a bit different to actually use the super concentrated liquid. The liquid has a nice smell to it I found, is non toxic, chemical free and hypoallergenic. Bonus: it actually cleans as good as any other laundry detergent I use , but I did find it had a very refreshing clean, like outdoor freshness to the clothes after they came out of the wash. In addition to the non-toxic, safe attributes of this product, it also has a negative carbon footprint. This is one environmentally responsible product that actually works. Just one 8 oz. 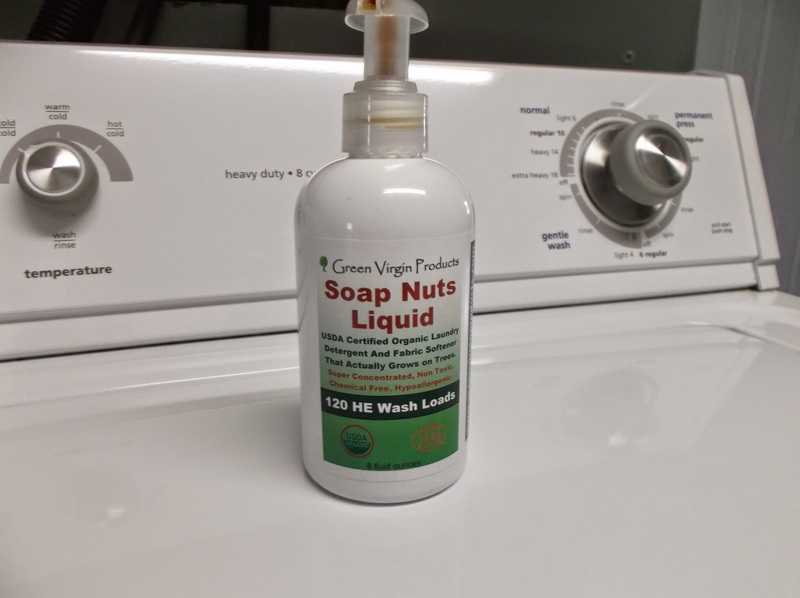 bottle of Green Virgin Products’ Soap Nuts Liquid does 120 loads of laundry. So was I impressed? You bet, and I'd recommend to give it a try. Green Virgin Products is dedicated to selling only completely non-toxic and eco-friendly products. Based in Tampa, FL, Green Virgin Products are currently available online. For more information and special offers, go to www.greenvirginproducts.com and become a fan on Facebook at www.facebook.com/greenvirginproducts. August is National Coffee Month, and if you ever needed a good reason to try a new brew, this is a great one. Whether you need your coffee first thing in the morning, piping hot or wonderfully cool, there is no better time to try something new. Coffee can be a great social beverage as well so make sure to share one with a friend. That’s right! Introducing Counting Sheep Coffee, a proprietary blend of gourmet decaffeinated coffee and Valerian – an organic plant root with sedative and relaxant properties – for that perfect way to end your day. Drinking coffee after lunchtime is a pipe dream no more. Counting Sheep removes the worry of being kept up. Enjoy a delicious cup of coffee with dessert or just before bed and drift off to a restful night of shut-eye. And it tastes just as delicious as that first cup in the morning. The perfect way to start your day is now the perfect way to end it! ** also available in K-cups! Next best thing to getting your coffee fix! Gerry has a hair cut appt today and I have a dentist appt- one of my fillings came completely out of one side of my molar the other day- so it's like the one tooth is almost two teeth. Very lucky to be able to get in today, and it hasn't been bothering me. We are also lucky to have full coverage for me to get it fixed. The weather is so nice today- a high of 24 degrees for today. Nice to see the clear sky and feel the sun.Jakey always lies on the back deck when it's warm and sunny back there. He's like me and always cold. Gerry and I have been talking more about him and retiring early so we are trying to do what we can to make that process go faster and cut the time down to hopefully 2 years left. making extra payments now on our mortgage, his truck, and our RV we just bought, ( but have yet to pick up in the city).. next week. All along we do manage on one income, although I will occasionally get some advertising dollars on the site and the odd freelance writing job. We as well still put aside money every payday into our Tangerine account through ING Direct. Saving a bit here and there for trips, emergency funds/renos, Christmas, and the mortgage/truck payments to pay extra. We think we're doing pretty good ...and hope to escape our long cold winters sooner than later. Budgeting doesn't have to be hard.You don't even need to be tied down to the idea of "making a budget." Saving money can be as simple as making a few small changes at home. This infographic shows you easy, convenient ways to save up to $8,800 a year, without ever feeling the pinch of a restrictive budget. I'm a wimp when it comes to the cold. This morning Gerry said it was 5 degrees outside when he got up for work and the trailer was cold so he cut the furnace in to take the chill out. It's something we really don't want to do yet, and thankfully the rest of the week is looking better and warmer, but brrr! even the dog is cold, and rolls himself into a ball like a caterpillar. 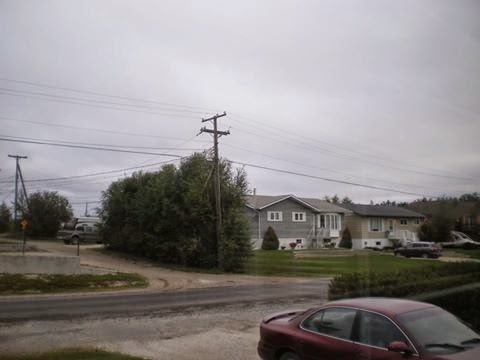 Gerry said with our winter longer than normal last year, we only had one month when we didn't have the furnace on- and that was in July. Pretty darn sad. The bran muffins are in the oven and I'm heating up the trailer in any way possible.I even left the dryer door open after the laundry was done- just not nice enough to hang clothes out today. A great day to bake- a high of only 13 today, but I really hate when the sun starts leaving us. Even put the electric blanket on the bed last night on low. Gerry doesn't turn it on most of the winter but I cannot get to sleep in a cold bed, so the electric blanket helps me fall asleep. Slippers I wear year round, as I always have cold feet because of Raynauds. Ria's 29th birthday on Tuesday so we'll be have her over for cake and a gift opening that day.. be just the 3 of us.She's leaving to go back to Honduras on the 29th. We'll be keeping her couch and TV here,( which Gerry likes for the spare room) and her car is staying plus some boxes of scrapbooks and other personals.She will be joining her fiance there. She has given up her apt so not sure what her plans will be come next May when she usually comes here to runt he petting zoo. Her car is actually staying in our back yard in the rock garden for storage. Last year it was parked in the back but now that we use that spot for the RV, and have our two vehicles in the front yard, that won't work. We will also be picking up our newer RV we got, within the next week. Can't wait to get rid of the one we have now. It's caused us so much grief. We are trading it in cause we can't sell it- losing money too on that deal, but need to get rid of it. We tried for months to sell it at a greatly reduced price. We'll be trading it for a 2004 National Sea breeze 34'- 4 feet bigger than the Brave we have. Hoping to get a trip out of this new one as well in September. I'd love to go somewhere warmer with it but Gerry doesn't have enough holidays left this year for us to get away for too long, so we're thinking of going over to Washington to the Olympic Park and area.. so will see what happens. Had been dealing with the BBB on our other RV we still have- since we got a lemon, but didn't have a good outcome. So today I have to fill out some papers with the Consumer Protection Bureau. After talking with the guy on the phone, it did sound more promising with him saying that even though the dealer sold it as a consignment unit, he still has some obligations to us that it is in good working order.I will keep you all updated to let you know what happens with that. Gerry has 4 years left for retirement I believe or 3 1/2 but just hate the long winters here. This past winter was very long and dragged into our Spring.The geese we already have been seeing are flying south. I need to fly south I think. Going to try to read more on retirement though and saving money, maybe start a home business and just try to make this all happen a bit faster. We do currently make extra payments however on our mortgage and truck payment. My car has been paid off for a few years. Gerry wanted to trade off the truck and down size this past week, but the dealer really was not being fair about the trade, and we really stood in no way to benefit with their foolish offer, so he's keeping the truck. Told him he'll have to drive it till it dies. Are you a guest writer ? Looking to connect with guest writers who are wanting to post articles for their clients . Mornings have been dull and grey. Fall is in the air. A view from the front window 8 am. Almost makes you want to go back to bed! With all the blueberries Gerry got last weekend, I thought it was about time I started looking through recipes and finding something to bake and freeze. Found a new recipe that turned out to be a hit: Crosby Molasses Blueberry Muffins. This past weekend with our trip out of town, daughter in town, and some work to get caught up, he never got a chance to head out to the patch again on the quad, but may this weekend. 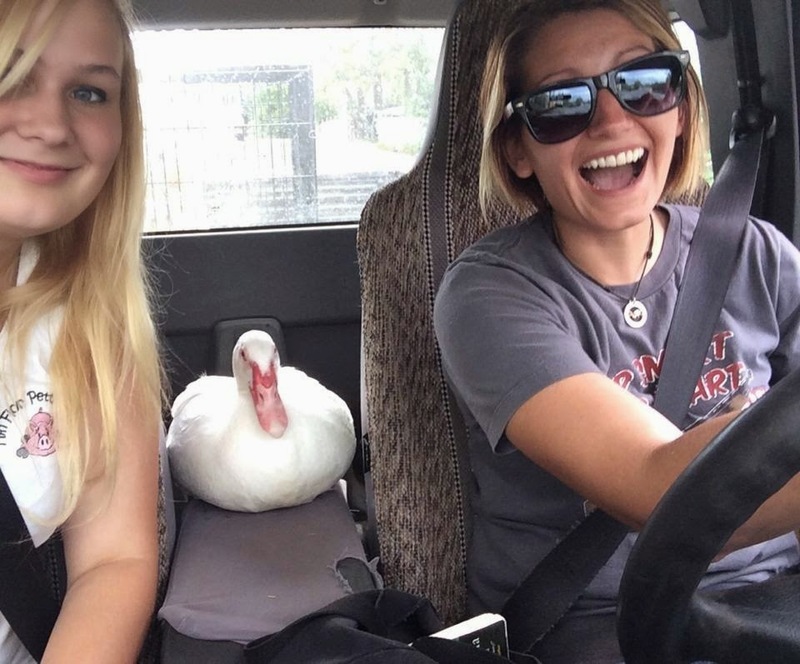 Just wanted to share this picture of daughter Ria ( right) and co worker, with duck in the truck- from the petting zoo. This past Thursday left for Prince Albert- 4 hour drive and took Jakey in for a much needed dental cleaning. He stayed in the kennels over night and we picked him up next morning. Although his dental work was only an hour and half, he did have to get put out, so we "ran" to Saskatoon while he was at the vet's ( an hour away), and did a bit of bargain shopping as well as looking at rv's- since we're trying to trade off ours or sell and buy another. With a cleaning and one molar having to be pulled it was $320. Cheaper than our vet charges here, by half, and cheaper than in most cities I called about to inquire. Most vets wanted a consult as well done, or xrays, plus dental cleanings and extractions were also near double of what we paid. b-leve offers an assortment of cutting-edge, multi-benefit skincare, hair care and body care products, as well as high quality beauty tools, all at a price that everyone can afford. The line utilizes natural elements and advanced technologies for a superior and luxurious experience. · b-leve Facial Care products are formulated using proprietary grape stem cell technology, which provides immediate and long term anti-aging benefits. · b-leve Body Care products are formulated using a ground-breaking, moisturization technology- Oleofirm™. Oleofirm™ utilizes oleosomes, which are derived from tiny micro-seeds found within oil bearing plant seeds, to provide unparalleled moisturizing benefits that leave skin soft, smooth and ultra nourished. · b-leve Hair Care products are formulated using advanced Cationic Chemistries, the leading technology in high performance hair care. Each specific line – b∙colorful, b∙hydrated, and b∙voluptuous — features tailored formulations that target specific hair care needs. · b-leve accessories range from tweezers to bath accessories. These premium professional-grade tools provide a salon-quality experience for the at-home user. RAMY Beauty Therapy is a leading skincare and color cosmetics collection developed on the principle of “Minimum Makeup, Maximum Impact.” Founded in 1997 by makeup artist and brow expert, Ramy Gafni, RAMY products are formulated to be universally flattering and multi-purpose to add “no-brainer” convenience to daily beauty routines. This full face range of products is comprised of beneficial ingredients including anti-acne and anti-aging properties, antioxidants and skin-enhancing vitamins such as A, D and E.
Availability: The RAMY collection is currently sold in 45 deluxe LOOK Boutiques in Duane Reade and Walgreens stores. Women and men wishing to achieve the “Fully Actualized Eyebrow” – one that is not too thin, short, or far apart – can visit Ramy-certified and trained eyebrow specialists in LOOK Boutiques nationwide. Ramy Gafni himself works at an appointment-only private makeup and brow styling studio in New York City. To purchase RAMY Beauty Therapy online, please visit www.ramy.com. 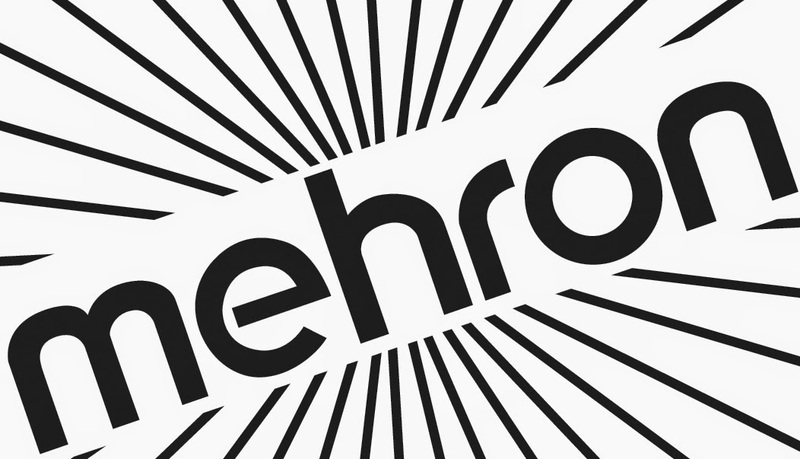 When it comes to makeup that meets the standards and vast color needs of professional artists Mehron is the undisputed industry leader. Proudly made in the USA for over 80 years, Mehron represents an artisanal approach to creating quality cosmetics that are high-impact and versatile. Mehron’s beauty products can be found in the makeup kits of artists working on fashion shows and shoots, theatrical productions, movies, special effects and most importantly, in real life on real women with a variety of color and coverage needs. Performers such as the Black Eyed Peas, Hilary Duff, and Pink are brand fans as are prominent beauty industry professionals including Nick Barose, James Vincent, Danessa Myricks and hairstylist, Oribe, who calls Mehron's products "beautiful, colorful and easy to use." Mehron products have been used in some of the most dramatic and visual productions including Black Swan, Phantom of the Opera, Shrek the Musical, The Lion King, New York City Ballet and Cirque de Soliel. EyesLipsFace (e.l.f.) Cosmetics was created in the belief that innovative technology, quality ingredients and superb delivery systems should not be limited to prestige retailers, and every woman should have the opportunity to experience luxury cosmetics without sacrificing her budget. Since the brand’s introduction over six years ago, the e.l.f. Cosmetics website (www.eyeslipsface.com) has grown to include over 2.2 million members and has become a global source for savvy beauty consumers looking for superior quality cosmetics, professional expert tips and valuable feedback. Make sure to really have a budget. It ing may not sound exciting, but it is the best way to keep spending in check. Learn to create and use a simple budget that includes categories for basic areas of spending. Before you shop, determine what your monthly allocation is for groceries, make a list, and THEN go to the store. If you buy in bulk, realize that you might spend two months’ worth of budget for some items. Just make sure to allocate appropriately in your budget so you don’t overspend next month. Explore what local foods you can find. You’ll also save up to 15 percent by buying fruits and vegetables that are in season – think about beets, Brussels sprouts, squash and broccoli in the fall and winter, for instance. Or find a quick refrigerator pickle recipe for locally grown cucumbers or bell peppers instead of buying prepackaged. For meat, check out local farms (try your local natural foods market or visit localharvest.org to locate farmers). Incorporating plenty of vegetables is good for the body as well as the budget. Get creative and try some interesting recipes that don’t include meat. 4. Take it easy on the drinks. If beer or wine are on the list, look into locally crafted items. Go with tap water instead of bottled water; make it more interesting with lemon, lime, cucumber (or other fruits and vegetables). For juices, lemonades and sodas, remember that their plastic packaging adds to the cost. Instead, think about buying powdered mixes and making your own at home. You can also use a seltzer maker to make your own cola and seltzer water. 5. Do more prep at home. For food items, remember that the convenience of bagged lettuce, pre-cut fruit and veggies, and shredded cheese comes with a higher cost. It only takes a few extra minutes to rinse lettuce and tear it by hand or to shred a block of cheese. Skip the more expensive, single-serving packages, too. Buy the bigger size and dole out smaller portions into sandwich bags or smaller containers. If you’re not already a member of a warehouse club, this is a great time to become one. Smaller families may overlook it, thinking everything comes only in bulk. In reality, many things don't come in large quantities and don’t perish easily, and there are many "individual" items, ranging from grocery items to gifts, books and automobile tires. Or team up with friends, neighbors, or family members to split large purchases. 7. Leave credit cards at home. Paying with cash (or a debit card) helps ensure you stay within your budget. 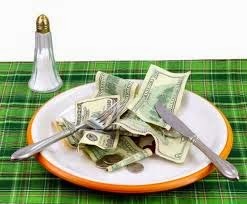 Studies show that people who pay with cash spend 15-20 percent less than those paying with credit cards. And, if you use a credit card and cannot pay off the balance in full each month, you run the risk of paying up to 15 percent interest on your grocery purchases. Go online to find coupons, and print them from your computer. A few sites to visit include Coupons.com and TheGroceryGame.com. 9. Pay attention to unit pricing. Ounce-for-ounce, bigger packages often provide the most value for your dollar -- but not always. Look beyond the price per box. Check the unit pricing displayed on tags on store shelves. Mid-size packages sometimes will be the best purchases. 10. Think outside the box for bulk buying. Many types of specialty retail stores (think liquor, fabric, pet) often have bulk/volume pricing available. Farms, orchards and farmers’ markets are great places to find excellent prices and savings, especially on large quantities (think bushels of fruit). If you don’t need perfect-looking fruit (maybe it’s for baking, cooking, canning or just eating), ask about “B” fruit or bruised boxes. “B” doesn't mean sub-par in taste or vitamins. These “B” or bruised fruits can be up to half off and taste just as good. Finally, retailers of any kind often will provide bulk pricing upon request for certain items. *The above tips were provided from national consumer finance expert Kevin Gallegos, vice president of Phoenix operations for Freedom Financial Network. Recipes calling for milk? Replace half the milk with water. Chances are you won't notice a difference in the recipe's taste. Example: I have done this with boxed pudding mixes in the past. Recipe called for 3 cups milk- yikes! Used half milk/ half water with 1% milk. Did you know you can thicken gravy in stews by adding bread crumbs? I tried this today actually. Works much better than me trying to make gravy with flour and it being all lumpy! Sprinkle in little bits till you are happy with the thickness. Wow- where is the time going? August 10th already. Already seems like it's cooling down here. Temps drop quite a bit at night and air cooler. The raspberries have come out though in full force for the year, and was able to pick another bowl full from our 2 smaller bushes we have in the yard. gave that bowl to Ria today when she dropped over. Gerry went with the quad today blueberry picking . Nice to have all those berries frozen so when I do come across some recipes I can just pull them from the freezer. Been baking alot though - made some Pudding Cookies today- simple recipe but rich with a cup of butter in them. Made a white chipit macadamia nut. Yesterday we made some money- sold some beer glasses I had won, for $10 and also a utility trailer for $150. We have a local Buy and Sell on Facebook so nice to sell things on there but not everything always sells...harder to sell clothes and books. Alot of those things end up going to the second hand store. Have a couple of boxes to possibly take there tomorrow. With Ria moving down to Honduras again in 2 weeks, she has been adding to the boxes as well, her things that she hasn't been able to sell online. What Gerry thought were mice in this hole in the corner that he since covered in, was actually a bee nest in the insulation in the skirting, under the trailer. Sure don't want bees or wasps around! He's since gotten rid of it. Won't be a long post- just wanted to update on our trip to Montana. - was hard to keep up with regular posts- although I started out well. Very limited as was told no cell service in Glacier National Park.East to West the park is about a 90 minute drive. The West side is definitely the nicer side, and more fuller of trees and dense. The East side was beautiful with it's more Switzerland type look and the Continental Divide. Camping in field- by ourselves :) Other campers in distance. Jakey and I loved the fields of buffalo, cows and horses we came across. - we had RV problems too with the air conditioning so that made me cranky, especially when it was so hot, plus it left us with not being able to leave Jakey at all in the RV and really go see anything. -Gerry did all the driving. We had RV issues such as the brakes as well- things just got too hot with the RV and it didn't have the power for the mountains. We are possibly looking at getting something bigger and with more power. We did do a few nights free camping, ( where we just parked in a parking lot or along the road with other truckers, but that tens to be loud). One place there were kids purposely setting off fireworks near us and other campers in a parking lot, and honking their horns, which made us leave- especially twice in one night and as late as 2:30 in the morning! 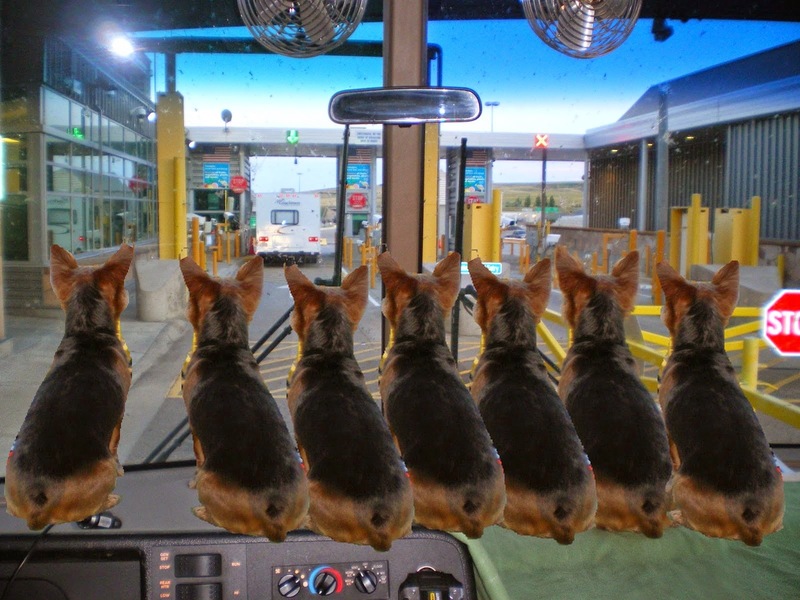 #1 have a working well RV, #2 bigger RV,#3 pulling a small car to get us around while we were there- as alot of places are just to small to accommodate a big RV, and #4 been able to leave Jakey at times at a day kennel so we could do a few things. It was a bit tough, and alot of driving too. Did the trip in 6 days- think Gerry said 1400 miles one way. We did find though that with all the expenses figured out and comparisons, we still did save about $1300 in the long run, over doing the same trip, flying there, renting a car, etc.. Currently our RV is up for sale. Still was nice to see what we did, but had a long drive to get there. Got home yesterday everyone, so even though today's my birthday, will be another day... just so much to do. Wasn't able to do alot of blogging while I was gone, due to the fact that the park has no cell service in most parts. So will try to get caught up with that, but I really did miss having my regular Internet service while I was away. It's also handy when your travelling to look things up: camp sites,distances, things to do in area, etc..
First thing I noticed when I got home though was that the raspberries really came out. So, I was quick to get those picked this morning before they start dropping off the trees. Got them all cleaned up and frozen , till I can decide what I want to bake with them. Personally, I don't' eat them but they do grow wild in a few spots in the yard, and nice to use them for something. 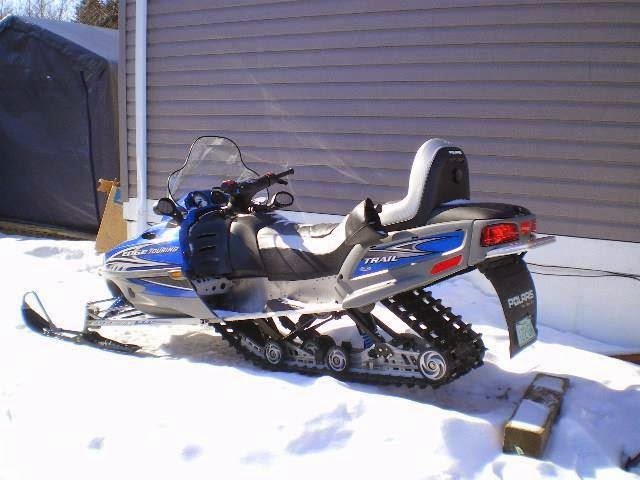 Looks like we also have a buyer for our skidoo. We'll be getting less than what we really wanted for it, but have been trying to sell it for a while, and at this point just want to get rid of it. He'll be coming next week- Tuesday. Sold for $4,000. Since we'll be heading out soon for the day, I did want to share a few photos of our trip so far ,since the other day when I posted. But since we are on Wi-Fi service coming from the Comfort Inn,( staying in their RV Park nearby) and leaving soon, it will be a short post. Hoping to drive an hour and a half now into Havre, to see if the Walmart has a turbo stick, for Wi Fi, on pay as you go minutes. Heard about it, but aren't sure. Also have to pick up a few food things. ***Same photo created by my daughter Ria!